Which eCommerce plugin is the better alternative for my blog? With more and more competing premium WordPress plugins it gets harder and harder to answer that question. This article takes a look at two popular eCommerce plugins: It compares WooCommerce with Cart66 Cloud in order to help you with your decision in choosing one. There are several other alternatives to WooCommerce and Cart66 Cloud on the market which I have compared in separate articles. Go to my main WordPress eCommerce Plugins comparison to start your search. Please note that this comparison only looks at the features on paper as reported by either plugin’s developers. It does not and can not tell you if or how well a certain feature will work for you. Because such a verdict would depend on too many variables, including your server setup and personal preference, I have decided to stick to the hard facts for this feature comparison between WooCommerce and Cart66 Cloud. In my comparison I track 50 different features for all the WordPress e-commerce plugins. In WooCommerce you can find 49 out of 50 of those features. Cart66 Cloud on the other hand offers 21 out of the 50 features in total. Even if many of the features compared above overlap between the two competing products there is one very important difference: WooCommerce as well as Cart66 Cloud both provide a unique interface from which you will build an awesome online store. Since it is hard to rate the quality of such an interface objectively I recommend that you try both products yourself before deciding for one. WPscoop indexes the exact prixing plans of all compared plugins. Please refer to the table below for a quick overview of the prices of WooCommerce and Cart66 Cloud. To find the cheaper eCommerce plugin for your individual needs please go to my main comparison article. There you can search for the features you need and then see the exact price you would need to pay for WooCommerce or Cart66 Cloud (as well as other alternatives). You can have a look at the Youtube videos below to see WooCommerce and Cart66 Cloud in action. That will give you a better idea of how the interface looks and which of the two eCommerce plugins is easier to use. Most WordPress plugins have an option to test their service for free, either thrhough a basic free version, a trial period or online demo. Check if such an offer exists for WooCommerce and Cart66 Cloud and if so: Make use of it! By doing so you can compare both plugins directly and find out which one is the better alternative in you situation. But wait, there is more! Besides WooCommerce and Cart66 Cloud I have compared several other eCommerce plugins on WPscoop. I recommend you start your search for WooCommerce alternatives or Cart66 Cloud alternatives in the main comparison article. There you can filter all different products and search for the features you need. 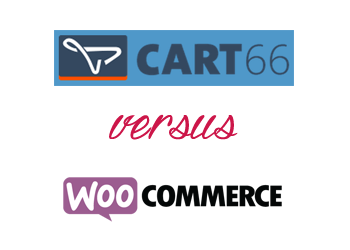 Which one is the better WP eCommerce plugin: WooCommerce or Cart66 Cloud? Please share your opinion or experience in the comments! SSL certificates don’t actually secure servers at all. They encrypt the communication between the browser and the server the browser is talking to. So that still leaves your WordPress site / server fully open to attack. You’d still want to use a firewall, shut down unused ports, make sure all your server software is up to date, disable insecure communication protocols (like FTP), etc. There’s a lot that goes into securing a site for e-commerce, but if you use Cart66 all of that is taken care of for you. Thank you for posting this review! We’ve recently dropped the price of Cart66 Cloud down to $95/year. So for less than the cost of a payment gateway extension and an SSL certificate you can have the entire Cart66 Cloud system which provides over 80 payment gateways and all the security to make your store PCI compliant. Of course, you also get all the other stuff built into Cart66 Cloud as well. WooCommerce is a really nice platform too. We’ve got a great relationship with the Woo guys and refer people to them whenever there are needs that can’t be met with Cart66. If you have the time, skill, and money to link up the extensions, you can make WooCommerce do just about anything. If you are just looking for the easiest way to sell things with WordPress we hope you give Cart66 Cloud a try because you get everything you need in one package and you don’t even need to worry about your own SSL cert. C R: There is a lot more to PCI compliance than just installing an SSL certificate but we take care of all of the details with the secure hosted payment page. Cart66 Cloud also secures all of your e-commerce data like your customer’s orders, product prices, etc. So even if your WordPress site gets hacked all your sensitive data is still safe in your secure Cart66 Cloud account. Let me know if you have other questions. Happy to help in any way I can. I’ve used both plugins and it can depend on your specific needs as cart66 simply doesn’t have the extensions WooCommerce has. But if you don’t need something specific that one of those extensions provide I’d go with Cart66 any day. After you pay for all the required extensions you need, fought with the woo code to make some simple customizations to your shop or product page, you’ll have spent valuable time and money and that FREE price tag WooCommerce initially has on it will be more like $300 and 20 hours of extra work. Cart66 has better support as well, more responsive and helpful. And the Cart 66 Cloud takes care of PCI compliance/SSL which is just awesome and saves even more time/cost. If I use WooCommerce with a SSL certificate and use a credit card processor- aren’t I PCI compliant?